Roy Spittle Associates has a long-standing tradition of electrical excellence in the construction, commercial, and industrial sphere. 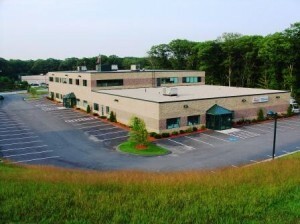 We have worked in countless manufacturing, processing, and warehouse facilities across the Commonwealth and built long-lasting relationships with our business clients. Ready to take on any industrial project, Roy Spittle Associates provides first-rate services for every stage of operations. From planning an expansion or upgrading your equipment, to repairs, installations, and maintenance, we give you an honest assessment of your project and deliver nothing but the industry’s most superior service. At Roy Spittle Associates, Inc we take pride in our ability to keep your enterprise running smoothly. We have the time, tools, and manpower to manage renovation costs, provide energy saving audits, and utilize the latest technical solutions on your behalf. Our fully-licensed and insured company stays committed to craftsmanship and service in an ever-evolving marketplace. We take the time to work hard and exceed your expectations in every type of electrical endeavor. Contact one of our talented Roy Spittle Associates staff members at (978) 283-2299 and receive personalized assistance from the best in the business.